India and Russia may have last year elevated their strategic partnership to "special and privileged status," but there seems no evidence of private enterprise in both countries following in the footsteps laid down by their respective governments. 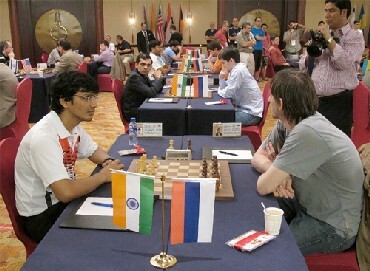 So when prime minister Manmohan Singh, an economist of some note, meets his Russian counterpart, Vladimir Putin, as well as Russian president Dmitry Medvedev in Kremlin on Friday, both leaders will also take time off to meet CEOs from both sides, led by Ravi Kant of Tata Motors from India and Vladimir Yevtushenkov of Sistema from Russia. The irony is that bilateral trade stands around $9.6 billion, while the defence trade -- without taking the cost of the Russian-built civilian nuclear plants at Kudamkulam into account -- is double that, around $20 billion annually. The first two units at Kudamkulam are expected to cost around $6 billion each, about 30 per cent cheaper than the nuclear plants that Areva, the French company, is expected to build in Jaitapur in Maharashtra, thus adding to the official trade figures. But the fact is that unlike the rising trade graph with China and the US, the $15 billion goal for trade with Russia in 2012 is a distant dream. Indian businessmen seem even less interested than their Russian counterparts -- at least, Severstal, the Russian steel giant has struck a $3 billion deal to buy iron ore in Karnataka, while Yevtushenkov's MTS mobile telephone company has struck some roots in India. Small Indian entrepreneurs persist in dabbling in gems, jewellery and tea, much like their predecessors during the Soviet era. Little imagination has been employed in making money in the Russian market, a fact that boggles the mind considering western companies have been making a killing in Russia, even as they chastise the Putin-Medvedev duo about opening up the democratic space. That's why Foreign Secretary Ranjan Mathai, briefing reporters on the PM visit to Moscow this evening, spoke at some length about the creation of a joint investment fund that both sides hope will rekindle abating interest. "We share the view that commercial relations are far below their potential," Mathai said, adding that with the opening of branches of three Indian banks – the Canara bank, the State Bank of India and ICICI – as well as the introduction of a new visa regime for businessmen, obstacles to improving trade could be reduced. One idea is to discuss a possible Comprehensive Economic Cooperation Agreement (CECA), Mathai said. Interestingly, the PM's visit to Moscow coincides with the day that Russia accedes to the WTO, he added. 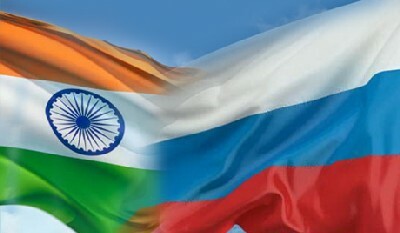 Russian analysts who spoke on the condition of anonymity pointed out that Indian businessmen would much rather focus on western or south-east Asian or African markets, where language and communication is easier and where systems of governance are much more transparent. "Few Indian business are willing to sustain the long haul that involves spending money in understanding Russia, when markets elsewhere in the world are easier pickings," the Russian observer said. In fact, even official interest in Russian giant corporates is now edged with irritation, with Moscow unwilling to allow the energy giant Imperial Energy to refund tax deductions that it has extracted from its major owner, ONGC Videsh. 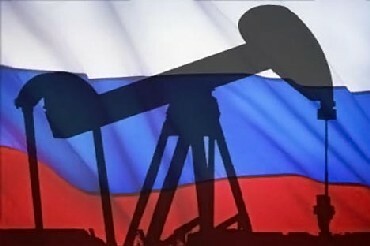 Mathai confirmed that the Prime Minister will take up the matter once again with the Russian leadership, in the hope that Russia will see the light and refund monies on the barrels of oil extracted rather than on barrels of oil exported. If a reasonable compromise is not found, sources said, ONGC Videsh is likely to sell its holding in Imperial Energy. However, Mathai also pointed to India's persistent hunt for sources of energy worldwide and indicated that ONGC Videsh would be interested in looking for a stake in the Sakhalin -3 project in eastern Russia. Discussions are ongoing with Rosneft, the Russian gas giant and Novatech for gas deposits in the Yamal peninsula, he said. Mathai spoke at some length about the need to restore transport connectivities with the Russian federation, perhaps through the Chabahar port in Bandar abbas in Iran, and then onwards via the Caucasus region and up the Volga river -- a route called the North-South corridor. Here too, problems abound. First of all, Chabahar is still not fully operational, slowing down India's trade interest in Afghanistan as well as into Central Asia. Secondly, Iranian customs take inordinately long, sometimes weeks and months on end, to translate documents from English to Pharsi and vice-versa, thereby delaying trans-shipments at the Mashhad border. Finally, the long leg into Russia is bogged down by expensive steamer costs.